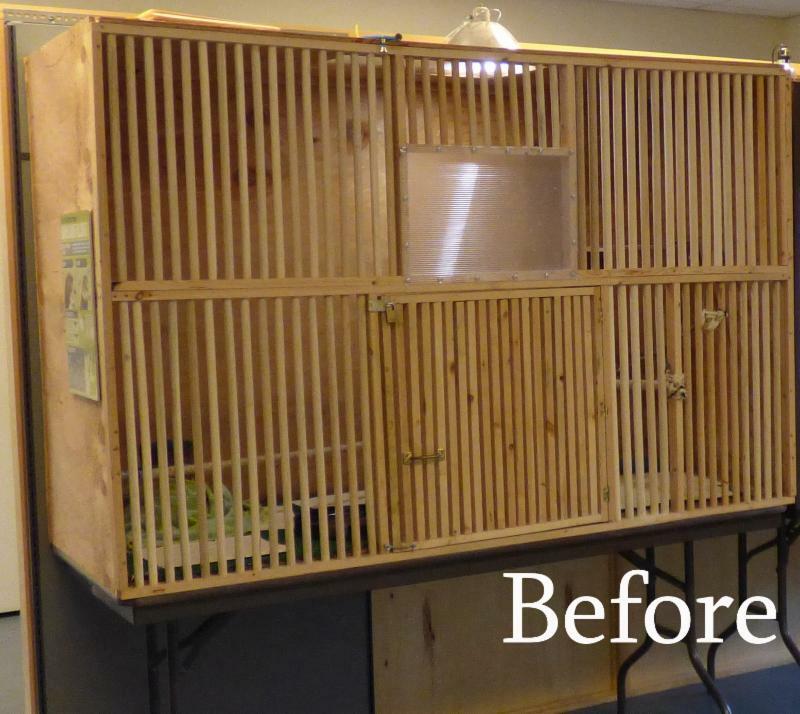 Help our aviary redesign take flight! 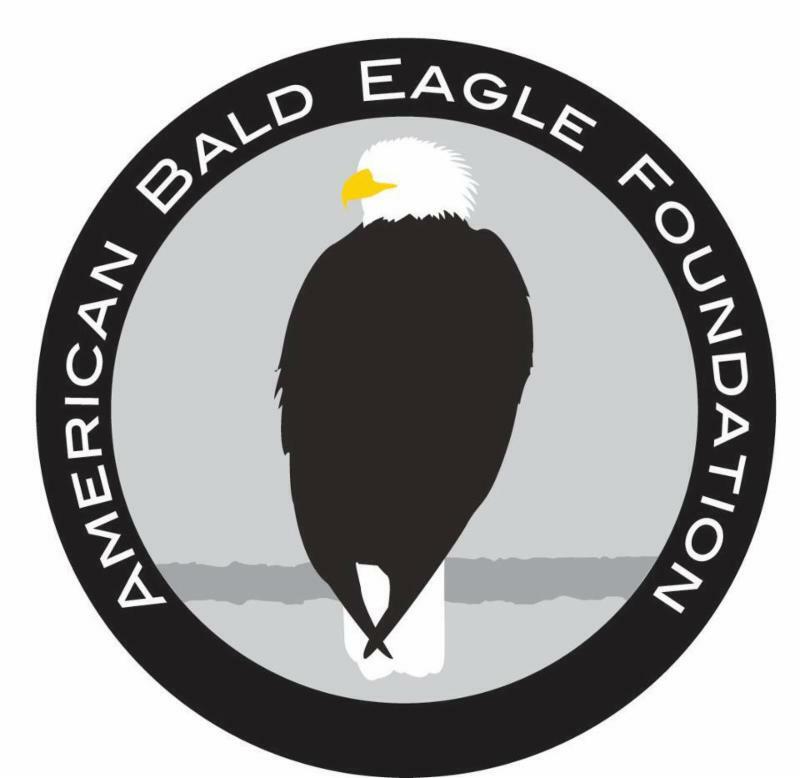 Earlier this week, the American Bald Eagle Foundation launched an ambitious Go Fund Me campaigned to raise money for a much needed facility update. 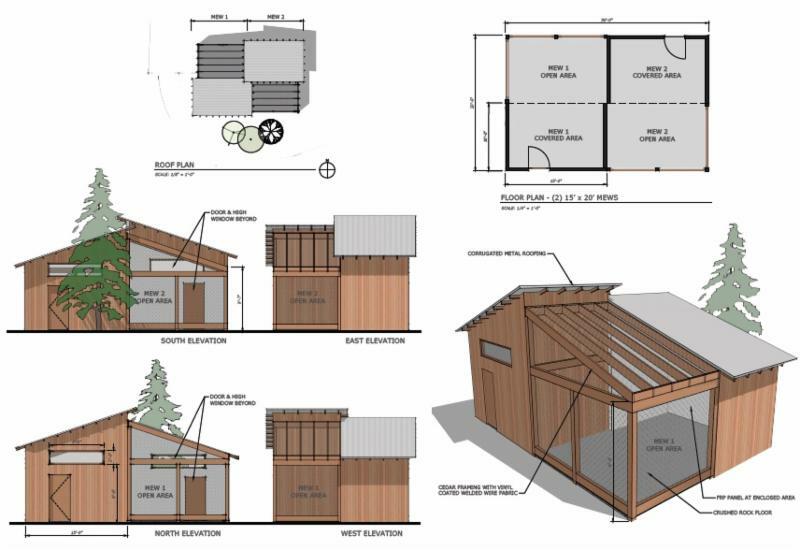 For the last few years, we've been working with the Foraker Group, Earthscape Alaska, and architect Steve Fishback to design all new aviaries and outdoor learning spaces. These improvements will improve living and working conditions for Foundation staff, avian and human alike. The new aviaries are more open to allow in more light, as well as give birds more enriching views and allow them to enjoy the immersive landscaping. The enclosure design is larger to give the birds more space and more varied perching opportunities. In addition to improving housing for ambassadors, the new aviary structure creates more space to move around between the enclosures to improve guest experiences. We need your help to make this dream take flight! Contributions from dedicated raptor lovers just like you will help us match grant funding to give the resident ambassadors here at ABEF the housing they deserve, as well as spread our message to an ever-growing audience. Learn more about our redesign here, and check out our story on Go Fund Me! Ashley Santiago is the hard-working helping hand the foundation needs in the difficult winter months. Santiago has always been an outdoor person, and says “there wasn’t too much wildlife in our Chicago suburb, so traveling to National Parks and going to the zoo were really exciting experiences”. Following this passion for wildlife, Santiago earned her Bachelor of Science in zoology from the University of Wisconsin in Madison. 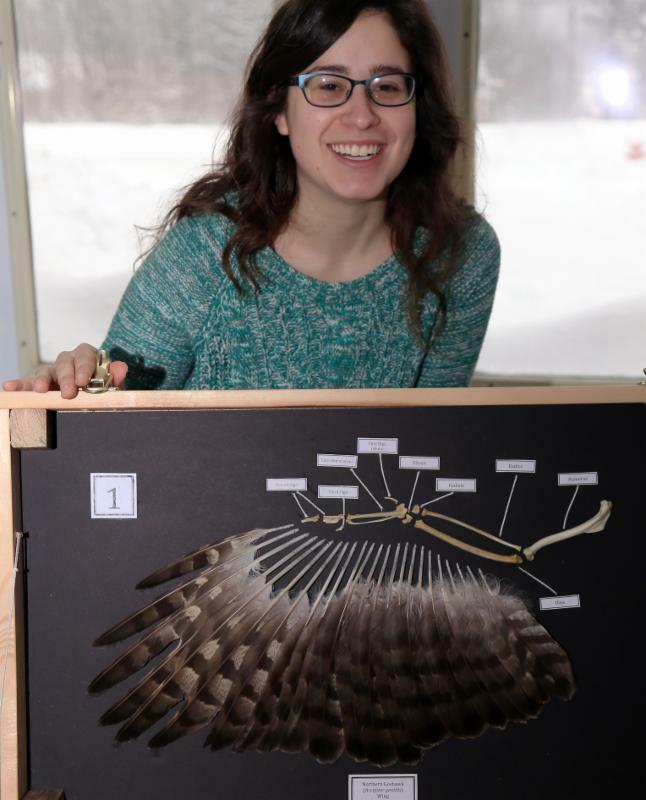 While a student, Santiago became a volunteer with Four Lakes Wildlife Center where she assisted with daily care and rehabilitation of many species, among which her favorites were “red-tailed hawks, great horned owls, sharp shinned hawks, and barn owls”. With an uncle who works for the USGS in Anchorage studying shorebirds, it’s no surprise Santiago was interested in the ABEF summer internship program. She was selected as a summer and fall intern with the Foundation. Santiago was inspired by the work of ABEF staff, who are “entirely responsible for the birds health and happiness”, and said she learned “so much from the dedicated staff about being more sensitive to bird behavior and needs”. Following her internship, Santiago decided to stay on in Haines for the winter, and happily accepted an offer to work part time as a raptor care assistant. Glad to have you aboard, Ashley! Arthur Gal is the newest ABEF intern, and comes to us from Sainte Marie d'Alloix, in the French Alps. Gal began his internship with ABEF in January after studying abroad for a semester at the University of Montana. Gal studies Geography and Rural Space Engineering at Jean Moulin University Lyon III in Lyon, France. His degree program requires that he complete a capstone project, and showing some serious initiative, Gal contacted the Foundation to see if he could conduct his capstone project with us. 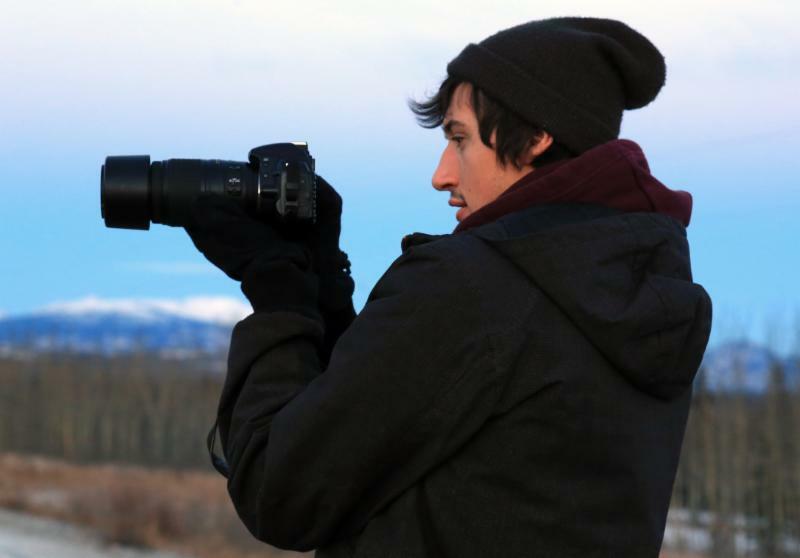 Gal has always been interested in raptors, and sought an internship with the Foundation in the hopes that his capstone project, which includes a detailed map of the Chilkat valley, would help us in our mission to preserve bald eagles and raptors. Gal says he identifies with eagles in particular "probably because just like me, they love altitude and big and inaccessible mountains". His mapping project seeks to identify hazards and threats to bald eagles within the Chilkat valley, and to make those hazards visible to guests who visit the museum. He says that his motivation comes from a desire to protect eagles and raptors who, "used to be masters of the sky, but are today so vulnerable". In addition to his capstone project, Gal is helping out around the Foundation with avian husbandry, including learning to properly train and handle the ambassadors. He also lends us his immense videography skill, creating training videos for each bird, and producing our Go Fund Me campaign video. Thanks for all your help, Arthur! Every month, the International Association of Avian Trainers and Educators (IAATE) holds a monthly enrichment challenge. Enrichment programs seek to stimulate resident ambassadors both physically and mentally and promote natural behaviors. These can include behaviors like foraging, using visual, tactile, or auditory senses, or interacting with trainers. Monthly challenges have a theme that avian training facilities must follow, and the facility that creates the best enrichment item or scenario is that month's winner. At the end of the year, the facilities with projects that truly stood out are eligible to become the Grand Winner. 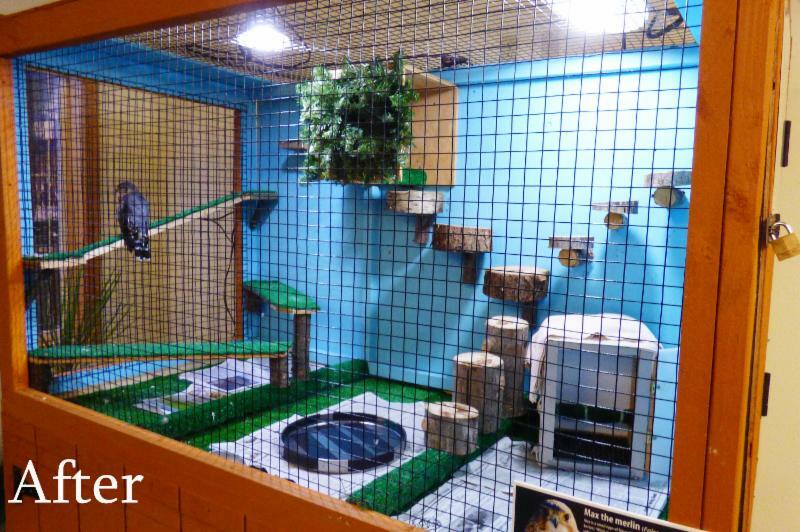 This year, ABEF was nominated for our redesign of an enclosure in which a merlin ambassador lives. We added new perching to account for his specific abilities, and opened the enclosure up to allow him a better view. We couldn't be more proud of our hard-working staff, for consistently striving to make interesting, engaging enrichment items for all of our resident ambassadors. Would you like to help us continue winning enrichment challenges? Check out our enrichment wishlist on Amazon!